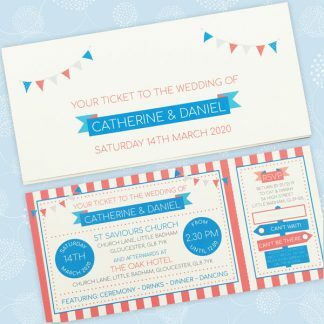 The Circus Festival ticket wedding invitation is ideal for those who looking for fun and colourful wedding stationery. 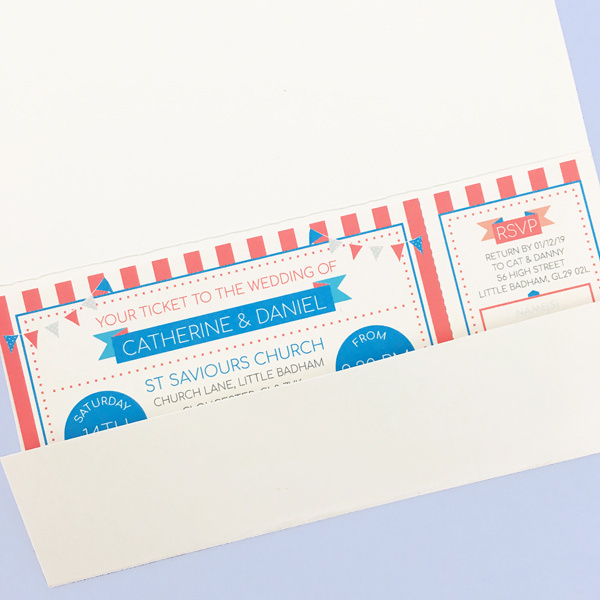 The festival themed design has a stripe background, bunting and a contemporary layout. The wedding ticket measures approximately 9.6 x 20.8 cm. The wallet measures 10 x 21 cm when folded. 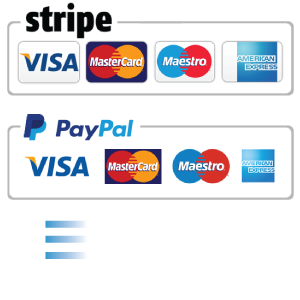 Both are made from high quality smooth ivory or white card. The design is printed using fade resistant and smudge proof ink. The Circus Festival design has a colour scheme based on two colours of your choice. 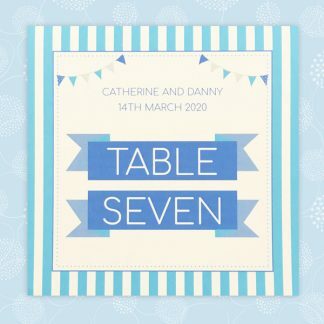 You can choose your colours from the wedding stationery colour chart. 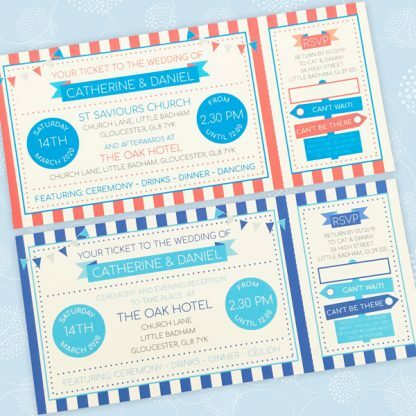 The layout of your Circus Festival ticket wedding invitation will be fully personalised to suit your celebration. 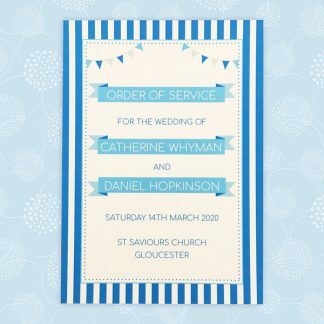 It can be adapted for one or two venues as well as for day and evening invitations. 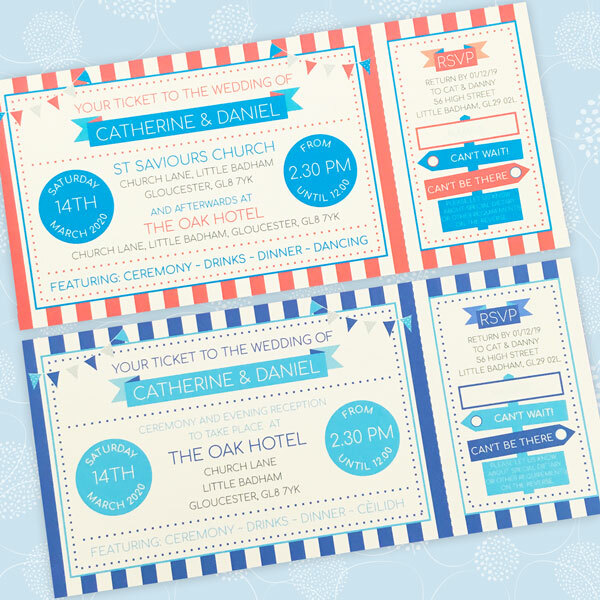 You can choose to have the inside of the wallet printed with extra information about your wedding e.g. directions, for an additional £0.60. I will contact you for wording and will send pictures before printing commences so you can check everything. Print on inside of wallet?